With our depressions and anxiety couples therapy, we can help you pull out of the constant sadness and step into a refreshing and healthy connection with your partner. When you are struggling in your marriage naturally feelings of depression and anxiety are a result. 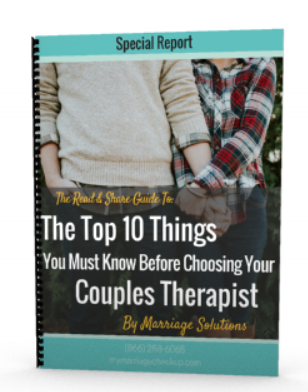 Here at Marriage Solutions we can help you pull out of the constant sadness and step into a refreshing and healthy connection with your partner. At Marriage Solutions, we have locations in Tulsa and OKC so no matter where you live, you can find the help that you need. Many times when you are able to feel close emotionally and you're able to turn and rely on your spouse for the support you need the depression will lift. Anxiety melts away. Of course there are varying degrees of depression and anxiety and some individuals benefit from medication. We certainly don't want to pretend that couples counseling is the cure to all that is wrong in the world. But research shows that being able to turn and share yourself with your partner helps with depression and anxiety. When you feel the warmth of their understanding and you realize the support and security in your relationship again many times the sadness lifts. Maybe you just need help getting through the hurdles you're currently facing. Couples counseling with a professional at Marriage Solutions will help you with that. Contact one of our two locations today. We have one in Tulsa and one in OKC, and serve a number of surrounding areas. View our FAQ's and Resources page if you are searching for additional information. We also have a blog section that includes helpful articles.